Rita Kluny - Healing Touch for Babies - Give Babies Their Best Start in Life! 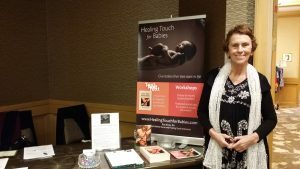 Rita Kluny - Healing Touch for Babies - Give Babies Their Best Start in Life! Healing Touch for Babies – Give Babies Their Best Start in Life! I have been a nurse for a very long time, my traditional nursing experience being in Neonatal Intensive Care. On a personal level, I explored many modalities in the healing arts, and became certified as a Holistic Nurse and Healing Touch Instructor. I bring the past of both worlds into my practice. I teach moms, nurses, midwives and grandmothers nationwide, to bring understanding into the world of the infant and seeing life from their point of view. Healing Touch for Babies workshops are available for anyone who spends times with babies. 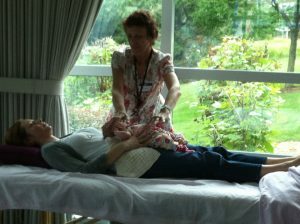 I offer continuing education for nurses and doulas. ANCC approved through the American Holistic Nurses Association.I teach nationwide – often in hospitals and also out in the community. Please check my website for the latest listings! What I can promise you is a transformational experience into understanding your own beginnings, and tools that will help you to bring forth the most authentic version of YOU. Private sessions are available to moms and babies that might be having issues during pregnancy and birth. Lastly, I have written a book “Your Baby Remembers: Parenting with a Deep Heart from the Start”. It is a simple yet profound guide for moms that describes how self care, prenatal bonding, and understand pre and perinatal psychology will make an extraordinary different in their babies for the rest of their lives.